Report on horticultural science aimed at improving production and products. Over five years of research are now summarized in an easy-to-use format to allow for informed nursery crop fertilizer decisions. Growers and suppliers learn about research projects, innovative production practices, market trends, technology, and more. Researchers work together to deliver innovative products and production solutions that address the needs of the horticulture industry and advance Canada's research and commercialization agenda. An independent, not-for-profit organization, Vineland is funded in part by the Canadian Agricultural Partnership and is an eligible research institute designed by Canada Revenue Agency. 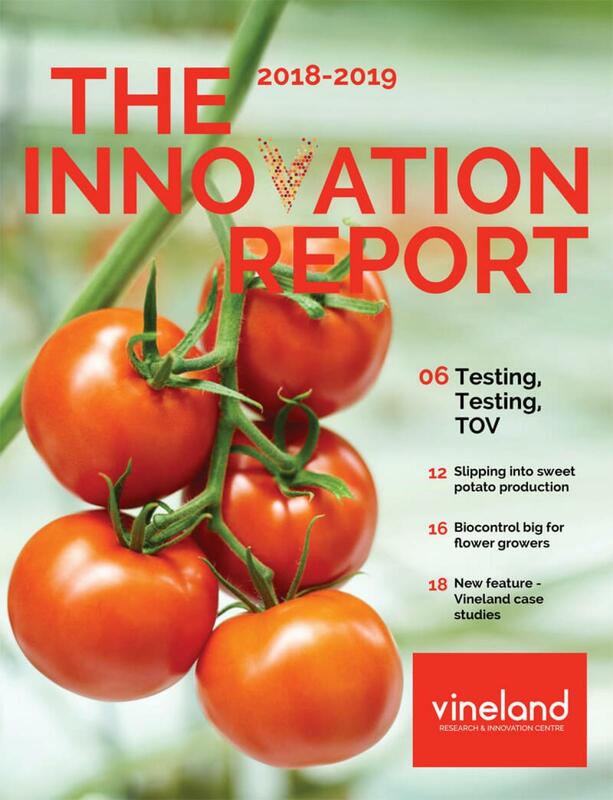 Vineland recently released its 2018-2019 Innovation Report that summarizes projects in five main areas: applied genomics, consumer insights, horticultural production systems and robotics and automation.